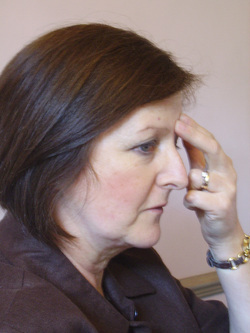 EFT stands for Emotional Freedom Technique and is also known as tapping. It is one of several cutting edge therapies grouped under the title 'Energy Psychology'. It was devised in the 1990's by Gary Craig an American minister. His motto was 'Try it on everything'. It involves tapping on acupuncture points whilst focusing on specific memories,emotions or symptoms.